Greg Gerdeman, former assistant professor of Biology at Eckerd College in St. Petersburg, Florida, spoke at the Annual Meeting of the Congress of Clinical Rheumatology on cannabinoid treatment for rheumatic diseases. Greg Gerdeman, former assistant professor of Biology at Eckerd College in St. Petersburg, Florida, spoke at the Annual Meeting of the Congress of Clinical Rheumatology. His remarks on cannabinoid treatment for rheumatic diseases can be heard here. 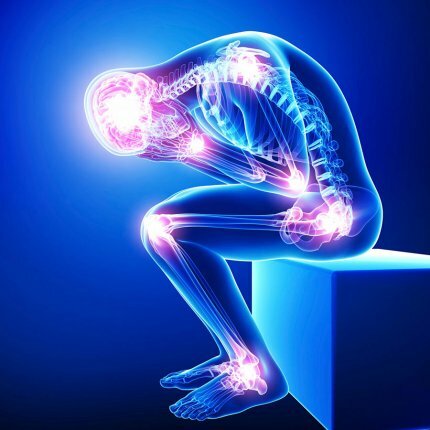 “A lot of the players involved in rheumatic disease like macrophage, infiltration, and the release of pro-inflammatory cytokines, the release of interleukins that are pain sensitizers and help to lead to the chronic inflammatory pain associated with rheumatic diseases – these inflammatory cytokines are dampened down by CB2 cannabinoid receptors present on lipocytes, present on synovial fibroblast-like cells. “In general, there is a great deal of preclinical research supporting showing that cannabinoids are generally immunosuppressive, they dampen down inflammation for example in situations of brain injury or stroke but also in the case of rheumatic diseases like rheumatoid arthritis. “The take-home message for practicing rheumatologists: There needs to be more research. But in my view, that research needs to include research with patient populations who are already using cannabis and are seeking it. And the research structure—physicians and scientists—needs to be able to, need to be less shackled by policy so that they can research this with populations. There needs to be more preclinical research, but I think there needs to be research with patients who are using it so that they can be carefully followed and we can actually track the evidence of use that’s already going on, and in some places, with really good—positive that is—anecdotal reports of outcome from cannabis whether it’s inhaled or topical therapies.